Two weeks ago I started a collaborative google map so thesis writers could share their favourite places to work. I’m happy to report that this has been a roaring success with over 100 cafes marked on it – and more being added everyday. Thank you to everyone who contributed. I’m happy to know that if I ever find myself in China or Africa, I know where to get wireless access and a table to work on. Since last week Kylie Budge talked about managing herself between multiple places of work, I thought I might continue the theme of mobile scholarship. If you are just writing on the move your computer doesn’t actually have to be that powerful. 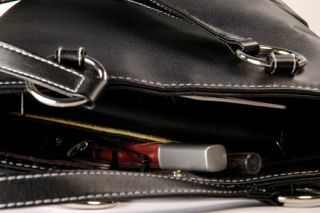 For the last couple of years I used a Dell mini 9 inch Netbook that fitted neatly in my handbag. While it was no pocket rocket, the Netbook it did the job; I could plug it into any projector and the battery enabled up to 3 hours of typing. However, this meant I had three computers and managing the data was a bit annoying. When my Dell Netbook sadly died I replaced it with a Mac book Air 11 inch, which is the same weight but more powerful. This enabled me to replace my desktop PC, which brings me down from 3 computers to two. Working mobile is much easier with cloud applications: software delivered over the internet. There are a growing number of services and many of them are extremely useful for academics. Some people use Zotero to manage their bibliography, but I use Mendeley because it’s a bit like itunes and twitter rolled into one; I can make and share bibliographies as well as see my library from any machine with an internet connection. A recent find to complement Mendeley is A.nnotate which enables you to mark up PDFs and share them with others. Similarly I use Evernote as a public online ‘scrap book’ to keep track of websites I find as well as notes from seminars and conferences. I use Prezi or Slideshare to do my presentations so I can always present, even if I can’t easily plug in my laptop. There are many cloud apps out there – I am always interested to hear about new ones! Without my Android phone I would not be able to run my handbag office. Most of these apps listed above are available on my phone as well as on my computer. One of the reasons I bought this phone rather than an iphone was, at the time, it was the only one that could act as a ‘wireless hot spot‘. This means I can turn it on in my pocket, direct my computer to look for it and have an internet connection. Wherever I have phone reception I can work in nerdy, cord free bliss: train, tram, bus or cafe. Although I am conflicted about the death of bookstores, I love my Kindle. The other morning it wouldn’t wake up for some reason and I swear I felt like my dog had died (luckily Mr Thesis Whisperer managed to reboot it). The ability to keep 100 or so academic books in my hand bag is kind of amazing – whenever I pull it out I have a little “Here I am, living in the future!” moment. I also have the Kindle app on my computer and my phone so that I can read my books from any open internet connection – it even remembers which page I was up to. However I prefer to read from the actual device when writing. Call me old fashioned, but there’s something about having the information on a separate screen which I find conducive to thinking. I still keep a notebook. I just like the feel of using a pencil on paper and it doesn’t need time to reboot. My friends know I am a Moleskine addict and kindly give me notebooks for my birthday. I like them because the paper is nice, you can get unlined pages and the little pocket in the back is handy to hold scrappy bits and pieces. Recently @scottmayson taught me how to ‘synch’ my notebook with Evernote: I take a picture of the notebook page, then tag and upload it. This is a brilliant way to keep track of notes and details that might otherwise get buried within a journal once it is full and sitting on a shelf somewhere. So that’s my hand bag office – what’s in yours? That’s about all I need to work and so it all fits in a small bag along with the other things I need to carry. I also make sure to have a real, paper, notebook and a pencil whereever I go, sometimes I think sharper when I write with a pencil than when I’m typing. I love my Kindle, too. But, the problem for me is that there are not so many computer science academic books that I read, that are available on Kindle. Maybe the number of readers is not big enough to make the preparation of a Kindle adition payable. I seem to have a pretty similar mobile office to you. I usually have my macbook and blackberry for all the internet needs. My Kindle comes with me if I’m travelling anywhere. I love have real books, but sometimes, particularly when I’m flying to conferences/fieldwork I don’t have the luggage allowance for the pile of books I want to bring with me. Then there’s my diary, I still have a Moleskine diary, to go alongside my google calendar, it allows me to make notes as I go through the week. Then there is usually a wealth of stationary in my bag. Friends often comment that I really don’t need that much stationary in there, but you never know when you’re going to need those paperclips! That’s about it. While I love the idea of doing scads of work in the cafes of the cbd, I’m more connected to my desk + office environs than I realised. I think the regularity of my environment helps me to concentrate + build a dependable momentum with my work. I’d love to have my entire library digitally available + searchable. It would be sooo goooood. Hey, that was me! Don’t know why it came up as “Anonymous”. Sheesh. One of my vague ‘projects for the future’ is to see if can do all the things that i need to do on a weekly basis (interact with VLE, email, blog, word docs, ppt presentations etc.) only with a mobile phone. I’d probably want to have access to an external keyboard – which might defeat the purpose) but i think it would be an interesting experiment! do you think you could cope with only your phone? I can do a lot with just the phone – but for extended typing it’s just not comfortable. If an ipad would let you take a call I think you would be there though. I recently had to upgrade to a larger handbag. I have two offices at two different universities, + a cafe writing group, a desk at home (where I dock my netbook), and frequent train journeys. 1. netbook (eee pc — 10 hours battery, can last about 5-6 hours while working which is enough for a day). I don’t take this unless I am planning on writing. I use mobile broadband and dropbox to synch whatever work I am doing between my three computers. 2. lecturing notebook — where I write down plans and ideas for lectures. 5. unit outline of the course I lecture — often need to refer to this to think through schedules and lecture topics. 10. sometimes I have a book — something related to my thesis, or often the textbook for the course I teach (yech… but do need to read it occasionally while prepping lectures). 11. USB on my key ring — has some important files and often a back up of ppt files. THinking of starting to use prezi though. I also work well less than 40 hours in my offices. I have to pick up my daughter from school, and I also breastfeeding my younger daugther (cared for by my husband during the day), so my boundaries are also fuzzy. I work fulltime at Macquarie, but that also includes ‘research’ time in which I work on my PhD at UWS or home or cafe — but I constantly feel guilty about not being ‘at work’! If you’re using multiple computers, you really need to be storing everything in Dropbox (or an equivalent). Not only does it give access from any machine you install it on, but it syncs between the computers so you are always working from the most up to date versions of the file. I wrote my entire thesis on a Samsung NC10 netbook in and out of libraries, on the sofa, on trains, in cars – you name it. Absolutely indispensible. 5. travel mug for caffeinated refreshment! Hi Starr, is it possible to use refworks while writing in scrivener? Pretty much the same kind of kit as most people, but for paper I have a Livescribe pen and the notebook that goes with it and upload that to my iMac at home – to have digital and paper versions – I particularly like Livescribe because the handwritten notes are searchable – invaluable when I can’t remember what I wrote when. Although I prefer some kind of keyboard for serious writing, I’ve been amazed how much I can do with my iPad, and don’t go anywhere without it, having bought a reasonably smart bag to accommodate it and my other bits and pieces. My way to keep up is to have the big laptop and the netbook permanently synced, courtesy of the ubuntu One cloud services. I reference my stuff using Zotero (but have heard great things about Mendeley as well). I have recently acquired an Android phone, and I may try to figure out how the mobile hotspot facility works as well. After trying a lot of scrapbook and desktop wiki programs (I’d recommend Zim: cool, functional and free software) I have come to the conclusion that I simply need to have pen-and-paper with me at all times. My mind seems to work primarily in schemes, and I want the facility of drawing the schemes when and wherever they occur to me, instead of faffing about with a piece of software that follows someone else’s way of thinking. 1. iPad or iPhone: amazing apps like Evernote and Dropbox mean as long as I have one device or the other I can always pick up where I left off. I also have both apps on my desktop of my laptop at home (which rarely leaves the house these days) and will only ever create a new document or folder in Dropbox so it is always available from all devices. I also regularly copy all my files from my Dropbox onto a USB stick which is my emergency backup – it means that everything is easily transferred and kept up to date. 3. A small thin exercise book, my thesis overview book. It has a double page per chapter, where I can scribble down things I remember or notes to follow up on, a list of abbreviations and shortened references as I use them for easy reference, and a cheat sheet summary of my thesis structure – sometimes very necessary to get the brain cells going! 4. An A5 refill pad of file paper for when iPad notes just won’t do – it’s small and handbag sized, not too pretty so I feel ok about scribbling all over it, plus it has ready punched file holes so I can transfer the notes to physical files as and when. 5. Emergency usb stick back up. (See above) I literally never leave the house without this in my pocket or bag – I’ve been told too many horror stories about people losing work! Cloud based apps are the main thing that I could not work without – they mean that I can always work from the latest version of any document or chapter draft, whether I am on the train, in a cafe or in a car park! I find the iPad pretty good for writing on more often than not, and have a Bluetooth keyboard which I occasionally will take with me if I know I am going to be doing a long stint, but otherwise the screen keyboard is just fine. If it helps, I am in the final stages of a history phd, so do extensive amounts of writing, source analysis, notes in archives or libraries as well as running my project blog and am able to do all this very easily from everything outlined above.